These kind Estonians could have suffered some pretty serious consequences for their good deed — what they thought was a dog that they rescued from a frozen river turned out to be a wolf. On Wednesday, Rando Kartsepp, Robin Sillamäe, and Erki Väli, workers on the Sindi dam on the Pärnu river, spotted an animal trapped in frozen water and immediately came to its rescue, clearing a path through the ice for the animal to swim back to shore. 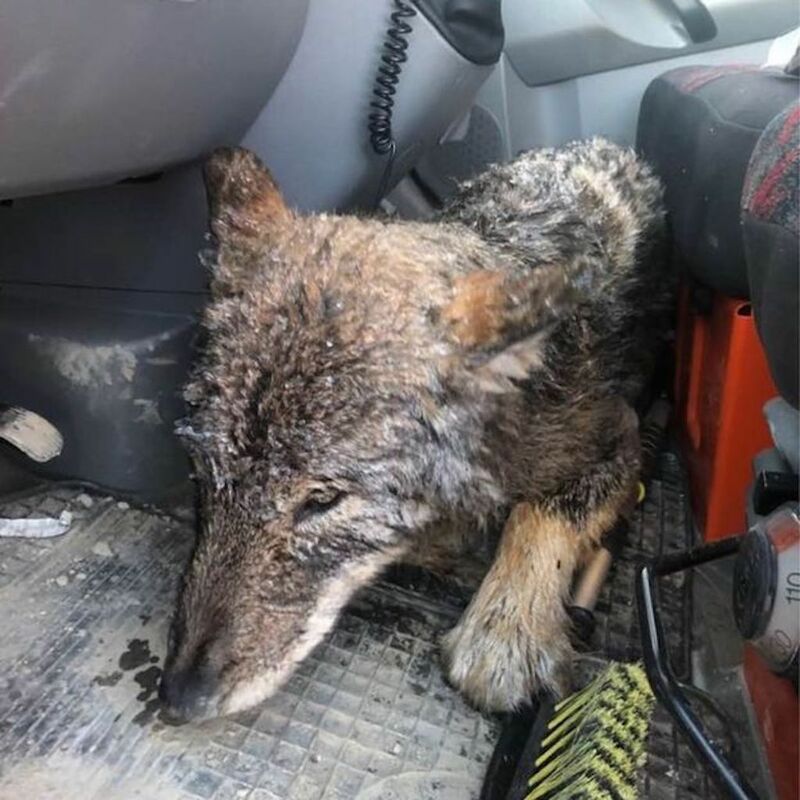 Believing the animal was a dog, they dried it with a blanket, carried it to their car, and brought it to a clinic for medical care where it was revealed to be a wolf. When the wolf arrived at the veterinarian’s office, it was suffering from low blood pressure and hypothermia and needed to be warmed up. Veterinarians were immediately suspicious of the large animal’s true species, but a local hunter finally confirmed that it was, in fact, a young male wolf. Upon learning this piece of information, the clinic staff treated the wolf and put him in a cage for their own safety, in case it became less docile.